Did you notice your kids scratch their head often even though they clean their hairs regularly? Be careful! Your kids might just be infected by head lice. Based on the record, the people affected by them are mostly children. Head lice feed on human blood and they can spread easily from one person to another through things, like comb, towel, and such if used by two people or more. 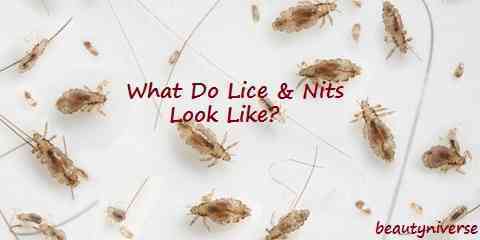 Now, what do lice and nits look like? People easily mistake them for dandruff or product residue. 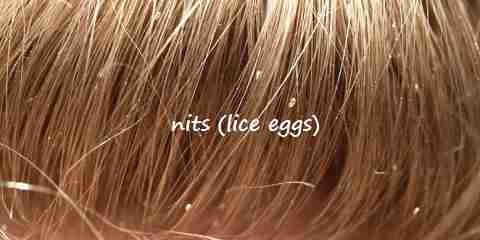 What do head lice and eggs look like? The eggs are oval in shape and white/yellowish in color, while the lice are grayish tan and about 2-3 millimeter in size. Where do lice come from? Of course, lice were born from eggs. Usually, the eggs are attached to the hair shaft, shaping somewhat oval with white or yellowish color. Due to such look, they are sure to look like dandruff or residue from styling products. It will take about one week before they hatch. During this egg form, they would be called as nits. If your kids feel their scalp so itchy with dandruff or residue looking things on hair shaft, you must be wary since they might really be lice eggs that are ready to hatch. 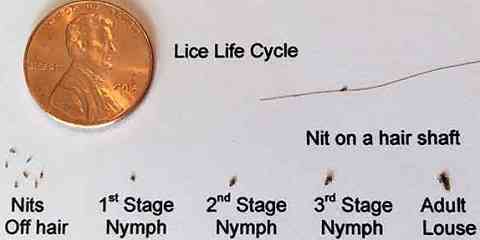 Within one week, the eggs will hatch into immature lice. This is the next form of the lice and the one they would look like before maturing. Of course, the size is simply way smaller than the mature ones. It should be less than 2 millimeters. It shouldn’t be any bigger than that. After all, it is microscopic parasite we are talking about here. 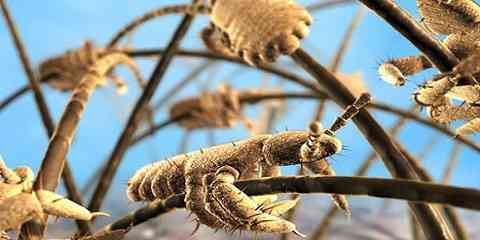 The look of immature form head lice is usually grayish tan in color too. So, you should be able to tell the difference between the immature and the mature one on the hair of the kids. The last form would be none other than mature adults, of course. 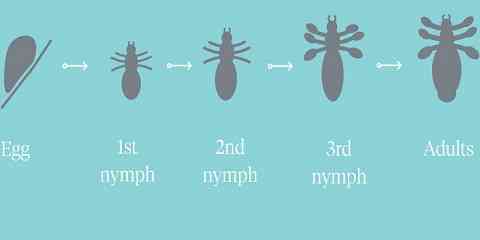 It should take 9 to 12 days before the nymphs could mature into adulthood. The look shouldn’t be that much different. However, their size should be absolutely bigger than the immature ones. If we must say, they should be about 2 to 3 millimeters. They are roughly the size of sesame seed, indeed. As for the color, some might be grayish tan, but there might be others that look pitch black too if you just look at them by the eyes. Since they are roaming around on the scalp and feed on the blood there, kids do feel itchy on the head. Sometimes, they could be attached to the comb we use to tidy up the kids’ hair or the tower we use to dry it up after the wash. You might be able to notice them by the look of the immature or mature lice. However, when you are careless and use it to comb others’ hair or even yours, everyone could be infected too. They proliferate in a short time, so it is possible for others to suffer the same (how to get rid of lice & nits once and for all).